Finances > What Would You Do If You Won $3 Million in a Lottery? What Would You Do If You Won $3 Million in a Lottery? It’s a question we have all pondered one time or another – what would we do if we won a lottery of a million plus dollars? For a New York man, the answer was easy. He turned his winnings – all 3 million dollars, over to his church. 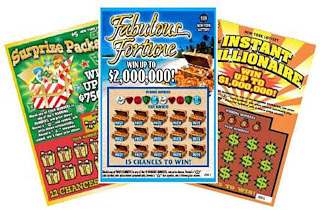 Pastor Bertrand Crabbe of the True North Community Church of Port Jefferson said the donor, who asked to remain anonymous, said, “This was why God put the ticket in his hands.” The “Ba Da Bling” scratch-off ticket was bought July 19, the lottery said. The same day, Crabbe said, the man with the ticket “called me, invited me to his home, told me he had won and his intentions,” which was to bless the church. The lottery winner gave Crabbe the ticket, and Crabbe claimed the prize on behalf of the 650-member church he founded three years ago. The pastor said the church would give the first year’s proceeds to charities including Love 146, which battles human trafficking and slavery. Beginning next year, at least 20 percent will go to charity. Some will go toward a new building for the church, Crabbe said. And how much exactly will the church get? About $102,225 a year through the year 2028. The amount could be higher if withheld taxes are refunded because of the church’s nonprofit status. Original story found at The Christian Post.